Have you been fooled by a WordPress plugin before? It pops up in your feed, you stumble upon a cool review, or a friend tells you about it. It sounds super shiny and awesome, and like it will solve the one website problem that’s been plaguing you for months. You go off and install it, and all of a sudden you get the white screen of death and you’re like, what the crap. If this has happened to you please don’t be discouraged because the right WordPress plugins can be ah-maze-ing. Plugins are little scripts that extend the functionality of an already awesome WordPress. They allow you to, for example, harness the power of social media and bring it to your website—whether it’s through analytics or insights or increasing shares and comments. Follow these steps and you’ll never be fooled by a WordPress plugin again. 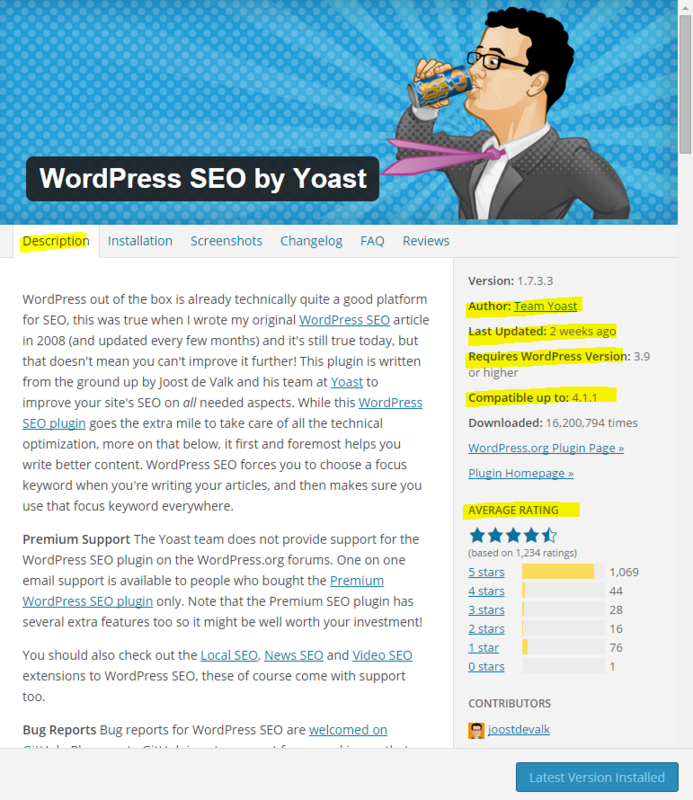 Search the WordPress plugin repository using the title or keywords for your plugin. The first is the description. Read the description and make sure the plugin clearly does what you want it to do. If it has a whole bunch of wacky tacky features you don’t need and won’t use, then move on. You want to find a plugin that’s as lean, mean, and specific as possible. Take a look at the author—there will usually be a hyperlink to their website. Check out that website. Look for a way to contact the brilliant plugin developer if you run into trouble or have questions with installation or configuration. Do they have support options? How often do they respond to comments? Now is also a really good time to Google the author and look for bad reviews, glowing recommendations, or simply crickets (usually a bad sign). Next check when the plugin was last updated. You want to make sure that the date is fairly recent, as internet technologies (and the bad dudes that hack them) are changing, upgrading, and patching all the time. So if a plugin hasn’t been updated in a few months? Probably best to leave it be. Now look at the WordPress version that the plugin requires. It’s important to make sure that your version matches or exceeds the minimum requirement. But yours will exceed it, because you so totally update WordPress on the regular, right? Compatible up to: this is the WordPress version that the plugin has been tested and proved compatible with. You’ll know the plugin developer is on top of their game if the plugin has been tested with the most recent version of WordPress. Finally, check out the plugin’s ratings. An indicator of a good plugin is the average rating of 4+. You see, there will always be grumpy internet people who are going to complain about a plugin or give it a 1-star rating because they didn’t read the manual. As a matter of interest, you can read any 1-star ratings and see if they seem valid. If they do, weigh them against the amount of 5-star ratings. Use your super stellar judgment and intuition. Once you’ve made it through the above checklist and still feel warm and fuzzy about the plugin, it’s time to make it official. 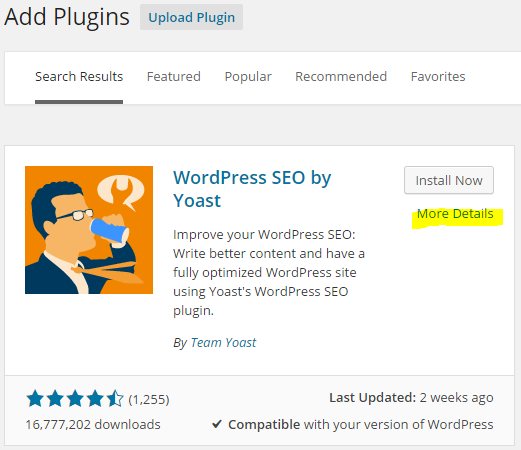 WordPress will download, unpack and install the plugin auto-magically—woohoo! Click “activate plugin” and you’re good to go. Finally, you’ll get cozy with your super awesome new shiny plugin. Not all plugins are customizable, but if yours is, this is where you get to configure its settings. If you have any problems during installation or while configuring your settings, there will usually be a link to support, FAQs, a knowledge base, or a manual in the plugin settings. If the plugin is really simple and/or doesn’t have any settings, then head on back to the Plugins page (Appearance > Plugins) and find the link to visit the plugin author’s site. They’ll definitely have more information and support. 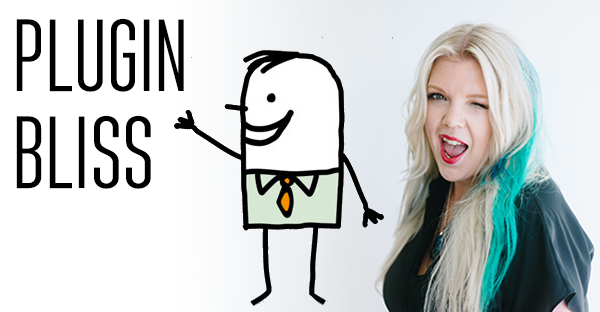 You’ve researched and installed a plugin that will help you grow your online presence instead of slowing you and your website down. This is just one part of maintaining a healthy WordPress Website that shows off all the amazing products and services you offer and makes your bank account feel fabulous. For more goodies like this plus my free guide on how to convert Facebook likes into email subscribes, sign up for my weekly winks.